Vincenzino (Vincent) Basile, of Worcester, passed away on Wednesday, March 27, 2019. He was 88 years old. Mr. Basile was a member of Visitation BVM Church. He was born on September 18, 1930 in Satriano, Italy, Provincia di Catanzaro. He married his beloved wife of 62 years, Mariangela (Chiaravalloti), on September 3rd, 1956 at La Chiesa di Santa Maria D’Altavilla in Satriano and immigrated to the United States in 1957. He was proud to become a U.S. citizen in 1975. Mr. and Mrs. Basile raised their children in Norristown before buying property in Worcester where he oversaw and was actively involved in the construction of their home on Dell Road. He was employed at Altemose as a stonemason and foreman for many years. Mr. Basile was a long-time member of the Holy Savior Club and Norristown Bocce League and enjoyed tending his large garden, making wine, singing, and dancing. He will be remembered by all as a man who never stopped working and as a perfectionist who strived for excellence in all of his endeavors. He will also be remembered for his wisdom and love of family and friends and the many parties and gatherings he hosted at his home surrounded by the people that he loved. 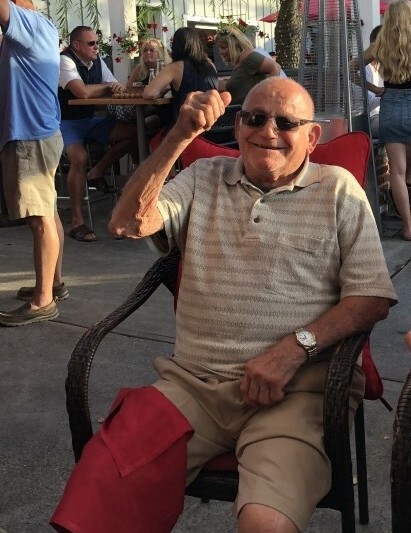 He had a great sense of humor and enjoyed telling stories of his upbringing and young adulthood in Italy as well as his time spent with Altemose. He was a selfless and generous soul who always put others before himself. He is survived by his wife; 3 children, Rose Marie (Joe) Mirabile, Joanne (Bart) Smith, and Frankie (Kim); six grandchildren, Harry, Joseph, Vincent, Turner, Emma, and Antonio; and 2 great-grandchildren: Joseph and Elias. He is also survived by more than 30 nieces and nephews. He was predeceased by his parents, Giovanni Francesco and Caterina (Matozzo) Basile; 3 brothers, Giuseppe, Francesco, and Teodoro; 3 sisters, Concetta, Carmela, and Maria Teresa, all of Satriano, Italy. Relatives and friends are invited to his viewing on Monday morning, April 1st, from 9:30 am at Visitation BVM Church, Trooper Road, Norristown, PA, where a Mass of Christian Burial will be celebrated at 11am. Entombment St. Patrick's Mausoleum, Norristown, PA. In lieu of flowers, the family requests memorial donations to the American Heart Association.